Have a read through our Google reviews at Carpet Pro Belfast. We regularly get 5 star reviews for the quality of carpet and upholstery cleaning we provide to our residential and commercial customers throughout Belfast and the surrounding areas. Call us today on 028 9532 0229 to find out about our cleaning services. Truly the best carpet cleaning service in Belfast you could potentially get in touch with. 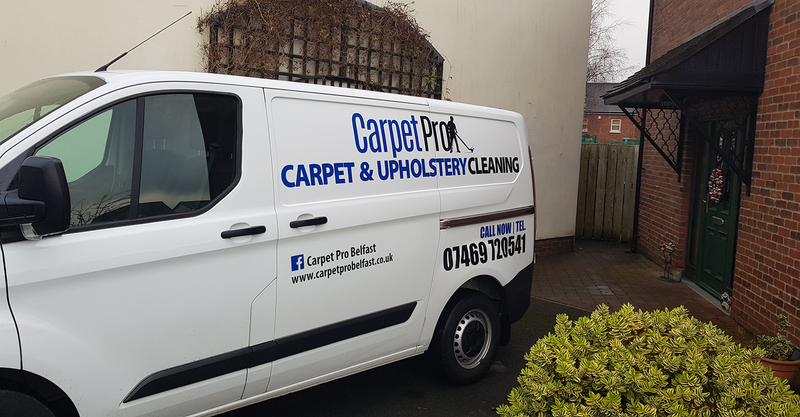 The guys are always professional, full of knowledge and will also be happy to answer any of your questions about carpet/ upholstery cleaning and their cleaning process. Very polite and professional, would 100% recommend.Simon was very quick to respond to my query and was easy to communicate with. Excellent service from start to finish. What a great and professional service. I have messaged Carpet Pro Belfast to book carpet cleaning in my living room and 3 piece suite. The booking was made within next half an hour. Simon has confirmed the booking the day before and arrived on the time scheduled. He was very helpful and moved all the furniture I wasnt able to due to my injury. The work was carried out quickly but efficiently. I can safely recommend this company to anyone who's looking for professional and reliable carpet and upholstery cleaning services. Top class service today from Simon who completely transformed our sofa which looks like new again. Really nice honest guy offering very reasonable prices! Great job would highly recommend!! Simon did an excellent and efficient job on our bedroom carpet and our sofa. However, he also impressed us with several other qualities. He was extremely easy to communicate with and efficient prior to our appointment. He is a very hard working and motivated young man who tries to go the extra mile. He treats his customers fairly and ethically. We can wholeheartedly recommend him. Second time I have used this service and I really could not recommend carpet pro enough. Fitted me in last minute after an emergency spillage and has my two sofas looking like brand new. Excellent service and excellent value from a really genuine guy! Simon did a brilliant job! We’re delighted with how everything looks. Arrived on time and was incredibly efficient and friendly. Would highly recommend. Delighted-would definitely recommend.Simon was very cordial and arrived when he said he would. He is a tidy worker, excellent price and he did a great job on my carpet and living room furniture. Would use Carpet Pro again. Thank you Simon! Simon provided a great service and we would highly recommend him and his company. He was happy to come out and give us a quote and communication was very easy for arranging the carpet cleaning. Carpets look like new now! An excellent service from Simon. I had two very soiled bedroom carpets in pale grey and they now look like new. I also had a large rug cleaned again now looks like new. Simon is a young friendly and hard working a lovely person to have in your home. He is very prompt and worked quickly through the process. I recommend him highly. Simon arrived bang on time as promised, took quick measurements and gave the an estimation upfront on how much the entire job would cost. Very professional and thorough with his work. Kept informing me of what are the activities he would be doing and how long it would take. Completed the carpet cleaning on time and left his drier fans on at various spots in the house to ensure the carpets had dried quickly and the house was ready to be used as normal again. He did a very thorough work and had a very pleasant attitude. Would definitely recommend him to other friends and family and engage him again in future. Amazing transformation. A very stained light coloured sofa back to new. Great customer service as well, letting me reschedule when I needed to. Drop us a message and one of our team will get right back to you. Delighted-would definitely recommend. Simon was very cordial and arrived when he said he would. He is a tidy worker, excellent price and he did a great job on my carpet and living room furniture. Would use Carpet Pro again. Thank you Simon! Very polite and professional, would 100% recommend. Simon was very quick to respond to my query and was easy to communicate with. Excellent service from start to finish. We are fully insured Belfast based carpet and upholstery cleaning business offering professional services to both domestic and commercial clients. We are independently run family business without any sub-contractors meaning that all the work is carried out by ourselves – fully trained cleaning professionals.